Raumfahrt+Astronomie-Blog von CENAP - Blog: UFO-Forschung - Zoo hypothesis may explain why we havent seen any space aliens The hypothesis holds that they can see us, but we cant see them. This idea is endlessly appealing. It’s also old. In 1973, MIT radio astronomer John Ball published a paper in which he suggested that the lack of success in uncovering cosmic company wasn’t due to a lack of aliens. It was because these otherworldly sentients have agreed to a hands-off policy. They’ve kept their distance not because we’re imperfect, but because of our right to pursue our own destiny. Diversity is something that everyone in the cosmos is assumed to value, so life-bearing worlds should be left to their own evolutionary development. It may occur to you that Ball’s idea sounds something like Star Trek’s famous “prime directive,” which forbade spacefaring members of the Federation from doing anything that might interfere with other cultures or civilizations, even if that interference was well intentioned. The MIT astronomer was proposing that we’ve failed to make contact with aliens not because we’re unworthy, but because we are worthy — the way endangered eels are. Ball went further, proposing that we may live in a metaphorical zoo — a kind of cosmic Eden. The aliens of the galaxy have somehow arranged things so that our planet is shielded from them by one-way bars: They can observe us, but we can’t observe them. One nice thing about this conjecture is that it offers a solution to a long-standing puzzle known as Fermi’s Paradox. Broached nearly 70 years ago by physicist Enrico Fermi, it rests on the fact that the universe is very old. Consequently, if intelligent life is commonplace, then some of it is surely advanced enough to have colonized the entire galaxy. We should see evidence of aliens everywhere. The fact that we don’t might be explained by Ball’s hypothesis — we’re being deliberately isolated. The zoo hypothesis has been in the news recently because it also provides justification for an activity known as METI, short for Messaging Extraterrestrial Intelligence. Simply stated, METI practitioners transmit radio signals into space with the hope of provoking a response from any aliens who might pick them up. In 2017, a Norwegian antenna was used to beam a message to a star system 12 light-years away. Earlier this month, this whole enterprise was discussed by researchers at a meeting in Paris. Douglas Vakoch, the president of METI International, a San Francisco-based organization that organized the Norwegian transmission, invoked the zoo hypothesis as a possible justification for broadcasting. After all, if the hypothesis is correct, then it’s understandable why our efforts to find signals from space have been unsuccessful. We’ve been mindlessly pacing our Earthly cage while the extraterrestrials maintain their distance and keep watch. But as Vakoch argues, this one-way scenario might be changed. If a zoo animal suddenly starts barking through the bars, saying “I’m here and I think you’re out there,” those on the other side might respond. Simply put, METI’s deliberate transmissions might lead to a discovery of cosmic company because the broadcasts would tell the aliens that we no longer require their helicopter parenting. We’re adult enough for them to get in touch. Still, the zoo hypothesis is dependent on Earthly life being really important — our existence is apparently significant enough that it dictates the behavior of societies that might be millions or billions of years more advanced. And Ball’s idea requires a galaxy-wide compact to keep all evidence of intelligent inhabitants — radio signals, laser flashes end even the construction of easily detected megastructures — from being visible by earthlings. How would you do that, even if you’re a highly advanced alien? In addition, the idea that all extraterrestrials are keen to keep the evolution of our planet free and natural sounds odd, self-centered and a bit too altruistic. Let’s face it: The prime directive has never been in fashion with us. Indeed, we seem to prefer the opposite: On Earth, we interfere with one another’s cultural development all the time. So the zoo hypothesis seems more than a little forced. On the other hand, I have to admit that it’s cagey. 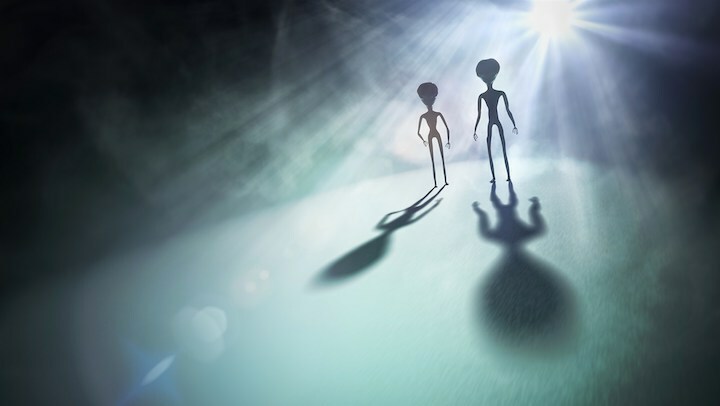 UFO-Forschung - 'Zoo hypothesis' may explain why we haven't seen any space aliens The hypothesis holds that they can see us, but we can't see them.